Cut the dough into about 26 slices and cut each slice in half. 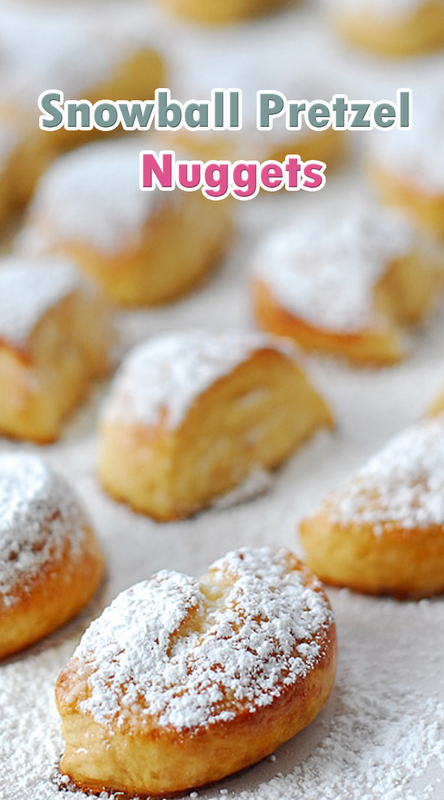 Dip dough nuggets into the baking soda water and place on a baking sheet covered with a silicone mat or parchment paper. Bake at 425 degrees for 7-9 minutes, until golden brown. Dip nuggets in melted butter and place on a piece of parchment paper.